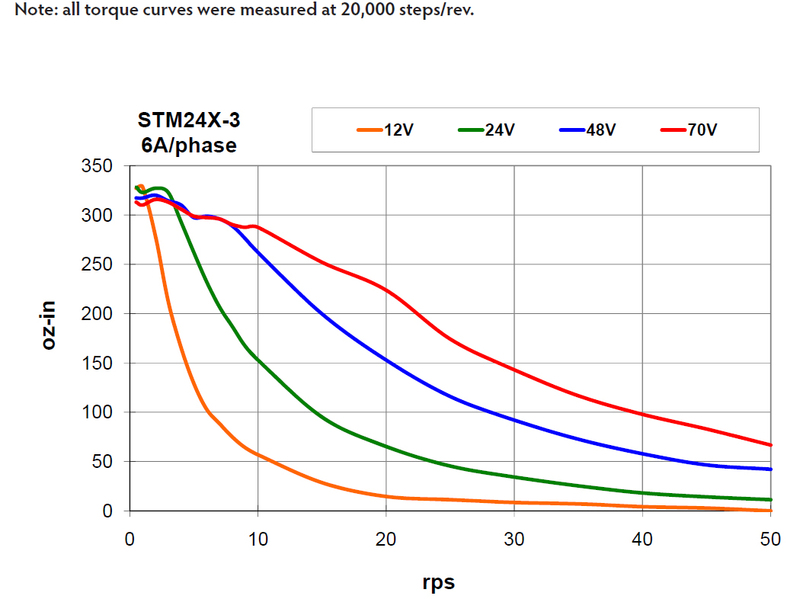 The STM24Q-3EE integrated stepper is a drive+motor unit, fusing a NEMA 24 step motor and a sophisticated 6.0 A/phase (peak-of-sine) stepper drive into a single device. Power to the drive, located at the rear of the motor, must be supplied by an external DC supply. See Related and Recommended Products below for compatible 24 and 48 volt DC power supplies. The STM24Q-3EE integrated stepper can operate in all of the same control modes as the S option, plus the ability to run a Q program stored in non-volatile memory. Q programs are created using Applied Motion’s Q Programmer™ software, which provides powerful commands for motion, I/O, conditional processing, multi-tasking, math functions, and more. The STM24Q is setup and configured using Applied Motion’s ST Configurator™ software. An integral 1000-line (4000 count/rev) incremental encoder is housed inside the same enclosure as the drive electronics, providing protection from dust and debris. The integration of the encoder means the STM24Q can perform special functions not available otherwise. Stall Detection notifies the system as soon as the required torque is too great for the motor, which results in a loss of synchronization between the rotor and stator, also known as stalling. Stall Prevention actually prevents stalling of the step motor by dynamically adjusting motor speed to maintain synchronization of the rotor to the stator under all conditions. 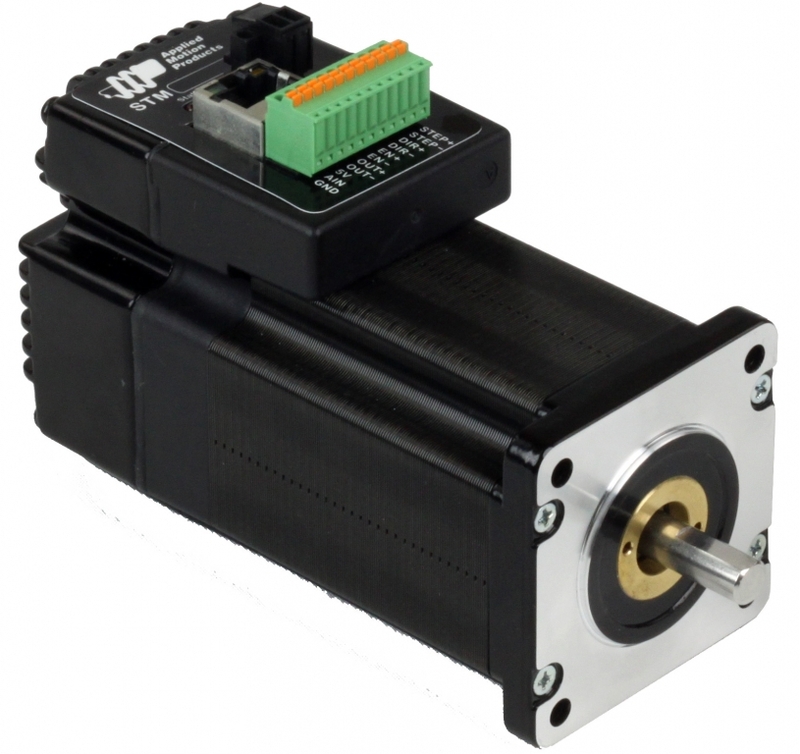 This unique feature allows step motors to operate in a much broader range of applications than previously available to step motors, such as torque-control applications. The Stall Prevention feature also performs static position maintenance, which maintains the position of the motor shaft when at rest.